Miggo, a company founded by former Manfrotto managers in Israel, has launched two new products. Miggo, a company formed by three former Manfrotto employees in Israel, has launched two new unique patented products. 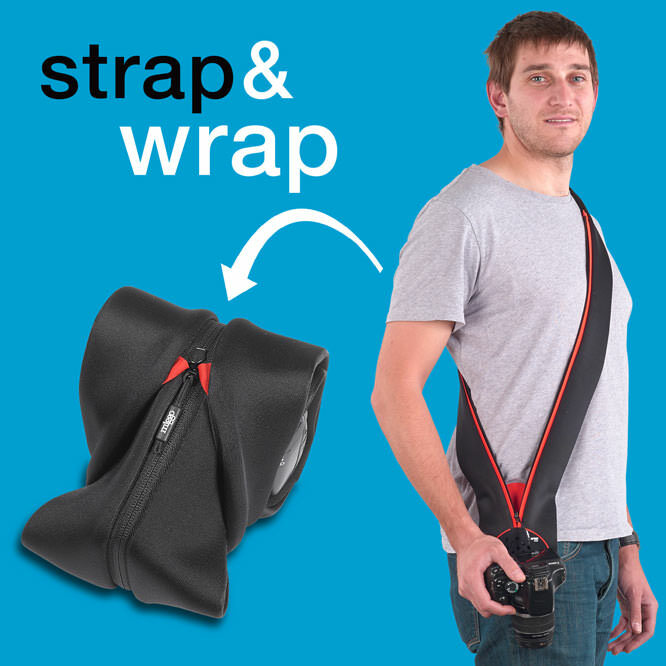 The miggo Strap & Wrap is an extremely comfortable strap which morphs into a padded protector by wrapping it around the camera. miggo prevents the camera from being scratched or damaged while inside your everyday personal bag, and keeps it snug and protected without having to carry an additional bulky camera bag. Guy Sprukt, Co-Founder and Marketing Manager of miggo said: "After many years of successfully designing and marketing top-notch camera bags for Kata, Manfrotto and National Geographic, we decided the time was right to come out with a whole new concept of camera-carrying solutions aimed at all sorts of photographers, not just professionals. We believe miggo is a real game changer in our field and can become the must-have item for every new camera bought". For more information, take a look at the miggo website.